The Bruvelo makes brewing the perfect coffee easy and removes the need to worry about proper ratios, grinder settings, temperatures or if your bloom and steep times are correct. The Bruvelo is more than just a coffee maker, it’s a fully integrated pour over brew system that was developed with one objective in mind – to brew the best cup of coffee possible. With a built-in grinder and perfectly optimized ratios, temperatures and steep times the Bruvelo sets the bar on single-cup coffee makers. It’s incredibly compact and its beautiful understated design saves precious counter space. Use the mobile app to start your morning ritual after your alarm goes off or after that last snooze – regardless, your coffee will be ready when you are. 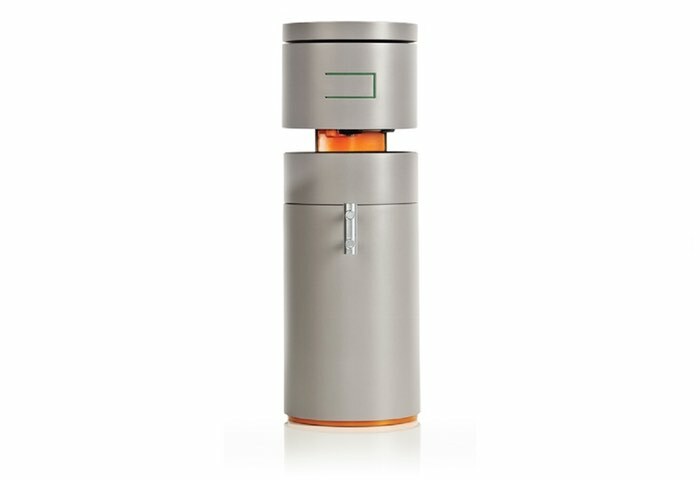 This is not your average single-cup coffee maker. This is a single-cup coffee maker built to do one thing, and to do it extremely well.